Over/Under Bar & Eatery is a new restaurant for the Clarion Hotel brand. We have over 20 items under $10 on our menu that is both delicious and affordable. Joy Tour & Travel Inc.
Joy Tour & Travel has been fulfilling travel dreams since 1985. We are fully bonded and insured. 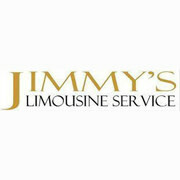 We are specialists in many areas of travel. Our staff has traveled extensively to bring you first-hand knowledge of the world. It is our goal to provide quality travel experiences that are exceptional value to our clients. Joy Tour and Travel delights its customers with the personal touches of a small agency while delivering unique experience through our partnership and decades of expertise.